The Adelaide Cube 270 Easy Height Round Front Plus is a High Efficiency Toilet or HET. It has a 1.6/0.8 gallons per flush. It is a two-piece toilet with a two button dual flush toilet. The bowl is a higher bowl with a measurement of 16.5 inches. It also has a larger concealed trapway and it is an easy cleaning. This toilet is floor mounted and works in conjunction the connection to the waste outlet for a 10-inch to 12 inch rough in. 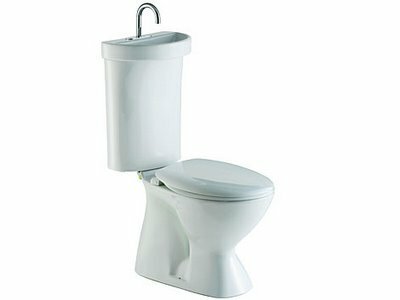 This Adelaide Cube 270 Easy Height Round Front Plus offers a standard bottom entry; this toilet design is available as a left-handed inlet and includes a quiet water control assembly. It also is designed with an internal overflow only. 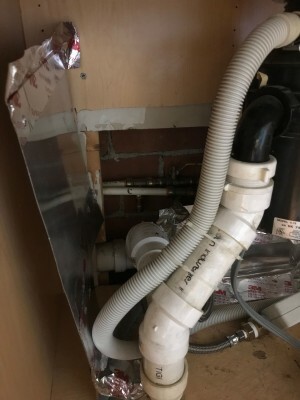 The tank is installed directly to the closet bowl with a robust base fixing system without having to do any wall fixing of your own. The Caroma Adelaide Front Round Toilet is nearly unblockable; you should have confidence when you use the Adelaide that there won’t be any clogs. The dimensions of this toilet are 29-5/8 in length x 13-3/8 inches in width x 32-5/8 inches in height. This is a standard size toilet with a round front design. If you are looking for a new toilet, one that will save you money on your water bills then you should check out this model. The price on this toilet is about $600.00; you could shop around for a better price. The Caravelle 270 Easy Height toilet has a 17 inch elongated bowl for a more accurate flush. This toilet has a large 100% concealed trapway and like the Bondi and the Adelaide Toilets these are almost unblockable. These toilets have a full flush wash down with a closet bowl and an open flush rim. It can be floor mounted suitable for a connection to the waste outlet with a 10 inch to 12 inch rough in. This tank is also a free fitting lid and a Vandal Resistant Conversion Kit is available. It is not recommended for residential homes. The Caravelle has a standard bottom entry tank that is available as a left hand inlet that includes a very quiet water control assembly. This toilet costs about $451.00 and you could find a cheaper price if you shop around. Caroma Toilets have been around for since 1945, they are not considered to be mainstream toilets like American Standard, Kohler or Delta but they have a reputation for being high quality, high performance toilets with a water conservation design. You can purchase these toilets from certain distributors. If you are interested in taking a look or getting more information on other Caroma Toilets, log onto their website and check out the Where to Buy button, click on the map and find a dealers nearest to you. If you have any questions, you can click on their Contact Us link and find the nearest customer service number to you. Caroma will answer any questions that you may have. They have quality products and they will surely last you a long time. They will also save you money every month on your water bills. 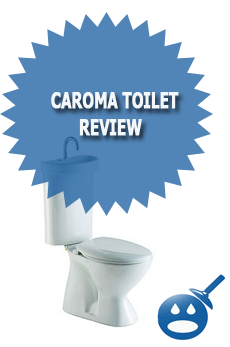 If you are looking for a new toilet that will save you money rather than cost you money, Caroma Toilets should be considered. They have a full inventory of great products.